I made an official announcement recently about the closing of my beloved clothing store November Culture. It was definitely a very difficult decision to make, November Culture was my baby, but after a few years of struggling trying to keep the business alive, it's time for me to call it a day. I launched November Culture in my home country Malaysia exactly 4 years ago, in 2014. It was my passion project. A few years before that I had a little boutique selling tshirts, shoes and local band CD's that was called Iamjetfuel, it was more of an indie music fashion store, but I was ready for something new. I was no longer 20, and my style was evolving. So there I was, putting together a mood board, and invested some of my own money and rebranded IAMJETFUEL to November Culture. 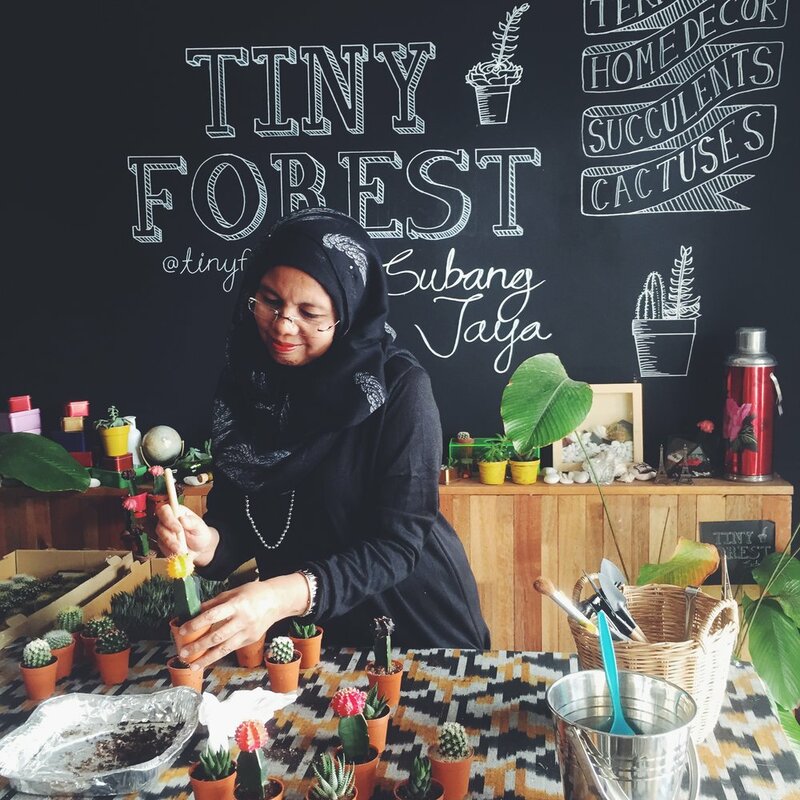 Because I had also found love in terrariums, I decided to open up a terrarium studio and allocated half of the space to a plant/terrarium section called Tiny Forest. It was an amazing feeling, I finally had this huge, beautiful space in SS15 Subang Jaya, located close to my friends who also ran their businesses there - Joe Flizzow with Joe's Barber, Malaysian rock band Bunkface has their own rehearsal studio there, Tarik Jeans was located at the end of the street, Wheel Love Skateshop was just down the block, our neighbor IAMLEJEN is a bookstore that sells local publications.. every shop was unique. It was a lot of work though, I had to be present all the time. By 2014 I was already living in LA for 3 years, spending most of the year there instead of KL, and there was a 17-hour time difference. When my colleagues/workers are at the store working at 11am, its 2am in LA and I'll be up texting and replying emails if I had to, after a long day in the studio, or on the road touring. To make sure the whole brand represents my style and aesthetic, I chose to shop, creative direct and sometimes design the collection myself. This was a lot, but I loved it. I had to be smart about photoshoots- just keep it simple and interesting, because they're expensive. 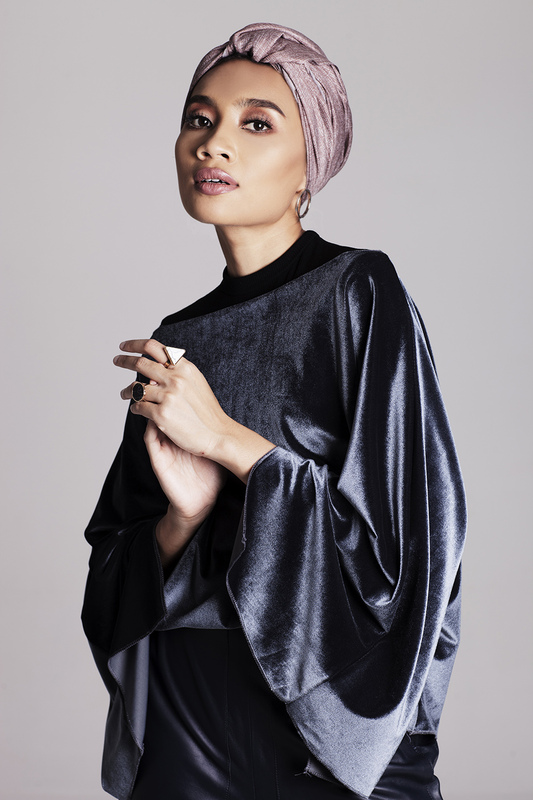 Thank God for friends like Ajarina & Aimanness, who were amazing photographers I love working with. Sometimes, it would just be a one woman show- just me, myself and my camera. I'd reserve one day at the studio to shoot all the new clothes - by myself. I had the 5D Mark II camera from my old ambassadorship with Canon Malaysia in 2011, I'll photograph the model and sometimes, myself. I built the website for novemberculture.com, and edit all the photos myself too. Don't get me wrong, if we had the money I would have definitely hired people to do everything (you'll read later why I had to run this will very little money)- me choosing to do everything myself is not because I'm a control freak - November Culture is a local, independent store. No one is funding or investing in the business, and I had the responsibility of making it work with whatever I have. Yes, it helps that I'm also a huge computer nerd who loves music and fashion but I came to my senses - I can't do this forever. I was getting exhausted, as my music career grows in the US, it was hard for me to fly home to work on the store. We had a staff of 2. The state of the economy is not helping either. Cost for production was getting more and more expensive, the Malaysian currency was suffering. And after much thought, I decided to pull the plug, and focus on a few things that made me happy - music, and plants.. Tiny Forest to be specific. Starting the business didn't come without any challenges. Like everything else, I had a few hiccups in the beginning. Once, I applied for an SME loan, and it got approved. They even came to visit our shop to check on everything, and verbally said that our loan was confirmed. Weeks had passed, we called for a follow up on my loan, only to get an answer saying there were complications and they no longer offer that particular loan. I was so shocked. With a simple "Sorry eh Yuna", my loan was gone. I needed a staff of 5, that was impossible now. I wanted to hire people to built an e-commerce site, provide free shipping, produce my own collection.. A lot of things just became impossible. By this time, I had already spent 50% of my capital only to learn I am never getting it back. But this was my fault, I shouldn't have jumped the gun, putting all my eggs in one basket, giving all of my confidence and my trust on an SME loan. But that was what happened, I couldn't believe it. For the longest time I didn't know what went wrong, the economy was bad and it seemed like a lot of grant weren't being passed too, but then I read the news and I think I have an idea why. After shedding a few tears, I decided to not give up, I rolled up my sleeves, revised my budget, and went on to open my dream store myself with my own money with the help of 2 staff. Finding a shop lot was interesting too. I guess I was naive to expect that people have integrity in business. You would expect dignity and integrity from the people who sells modest clothing. I didn't think behind their warm store visits and well wishes, they could also be very cunning and greedy. Our first attempt in getting a shop space for November Culture was an eye opener. We found a shop space that was perfect - located in SS15, a popular hang out spot in the neighborhood that I grew up in. My mom called me when I was in LA one day and found out about this space, she searched high and low for the landlord, and finally one day, she found the phone number. I wasn't around for this, but she was able to go meet them, along with my manager and cousin Wawa, to lock that deal. So they met, she sent me some photos and we talked on the phone, I was excited - and we agreed to take it. We had a verbal agreement with the landlord, and he was to email us the contract that night and we were going to pay the rent upfront, you know, the usual deal. As we were looking at the space, another person who happened to to pass by(I won't say female or male, let's just say I thought we were friends!) walked in, pretty much crashed our meeting, and said to the landlord "I've been trying to find you and now you're here!". By this time, I already got off the phone, and went to bed in Los Angeles. And let me remind you that my mom found this person all by herself, for weeks. This person also, started asking questions about the space, while my mom and my manager was still in there negotiating, even talked to them and asked if we were going to take it, which my mom excitedly said yes. The next morning when we called the owner to follow up with the contract, the landlord told us he had agreed to rent his space to someone else - this person in particular, had contacted the shop owner on the same day, telling him to not let me sign contract, and paid a huge amount of money upfront to secure the space, and the owner agreed. Wow. It made me realize, that this the real world, to some people, honor means nothing, and money is everything. There are people who abuses their wealth so others can't flourish. I don't know about you, but that looked like a bribery to me. I was frustrated, confused, and heartbroken. I could've taken a legal route, and fought for the space, but I just know it was not worth it. When things like this happens to me, I usually know there's a lesson to be learned, it's best to just forgive and forget, and move on. But, as you probably know by now, I remember some things. I still see this person on our street, and I still smile. I believe that God is Great, he will reward you with something better, and those who believe that money can buy everything will eventually fall. My mother always told me that - in everything - have faith that something better will come. Whether it was with work or relationships - "One door will close, another 3 will open." She was right. 4 months later, we saw another shop lot that was available for lease, on the same street, even bigger, and better, with two entrances, and great lighting! I was over the moon! We didn't think about it for too long, we immediately signed the papers, we were still so traumatized by our last experience locking down a space! And that was it. We found a home for November Culture and Tiny Forest terrariums for the last 4 years, till today, it's still my favourite place to hang out and be creative. I love how this place makes my mom so happy! With fashion? I'm going to take a break. I have an album coming out soon, a wonderful husband to hang out with and a cute little plant store to run. Once in a while, I get all crafty and make jewelry. Life is good. I'm focusing on making something I love without feeling burdened by it at the same time. And it feels nice. A QUEEN WHO SLAYS WAS A QUEEN WHO HAD FAILED. I guess there's no shame in admitting that something isn't working, you would still have your dignity. Call it 'failing'.. who cares! Me, the queen of failing will tell you that you will fail many times before you get better in doing something. Without failing you'll never learn, or you'll never know your strength. Without failing, you will forever be doomed by arrogance. So it's good to stop for a minute and take a break, and revise all the mistakes I've done previously, so that I won't do the same mistake in all my future endeavors. Sometimes things won't go as planned, but better things will come, like my shop-sabotage story, or my cancelled-loan story, these are all the challenges to prepare me for the future. I don't know what it is yet, but I'm excited to find out. Thank you everyone who loved my clothes, it has been an honour sharing my ideas and my love for fashion with you. Just know that I didn't give up, I'm just closing an old chapter and opening the door to new opportunities.